Saying that antisemitism is integral to European culture does not make one popular in Europe. This does not change if one notes that articulating this fact is radically different from saying that most Europeans are antisemites. Still, that claim about European culture is not difficult to prove. In fact, it developed in a dominating Christian environment over more than a millennium. Major incitement against Jews initially stemmed from the Catholic Church. Later, several Protestant churches, including the Lutherans, promoted Jew-hatred. The Holocaust was executed by Germans, with the help of many European Nazi allies — and it was facilitated by the Christian infrastructure of antisemitic feelings in Europe that had accumulated over centuries. During the Enlightenment and thereafter, leading European thinkers expressed hate against Jews. Voltaire, several German philosophers, early French socialists, Karl Marx, and many others took part in what can only be described as an antisemitic hate fest. After World War II, many people thought that the Holocaust had taught Europeans a hard lesson. Antisemitism seemed to fade away, especially after some highly-acclaimed movies and other forms of mass media that reached a huge audience. Once an attitude is an ingrained part of a culture, it takes a long time to “wash it out.” On the other hand, political correctness made it impossible in recent decades for respectable Europeans to self-define as antisemites. Thus, the hatred mutated in recent decades, and a third major generation of antisemitism developed: anti-Israelism, which targets the Jewish state. If that were really the case, hardly any Palestinians would still be alive. Yet to the contrary, the number of Palestinians has increased over the past decades. The persistent myth of Jews being responsible for the killing of Jesus has partly mutated into a new myth: Israel committing a non-existent genocide of Palestinians. In another new mutation of antisemitism, European Jews are nowadays accused of being responsible for Israel’s actions. A December 2018 study by the Fundamental Rights Agency shows that this idea ranks among the most frequent expressions of antisemitism in many European countries. Another aspect of antisemitism in Europe is the return of the word “Jew” as a general curse word. It is also used as an invective by non-Jews against other non-Jews. 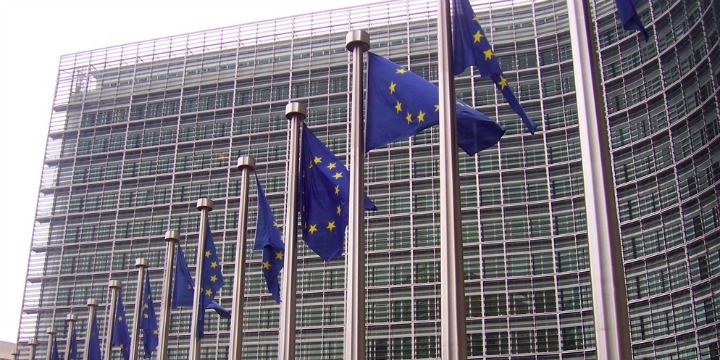 State antisemitism against Jews has become marginal in the EU. If one applies the definition of the International Holocaust Remembrance Alliance, however, both the EU and many of its member countries commit antisemitic acts by singling Israel out for discrimination at the UN and elsewhere. Despite all this, there are hardly any non-Jews pointing out that antisemitism is part of European culture. One of the very few such voices is the head of the Anglican Church, the Archbishop of Canterbury Justin Welby. He has said that antisemitism is entrenched in British culture.